From the start of his glittering career in 1992, to his official retirement from all formats of the game in 2013, Shane Warne has long desired to tell his incredible story without compromise. No Spin is that very story. It will offer a compelling intimate voice, true insight and a pitch-side seat to one of cricket's finest eras, making this one of the ultimate must-have sports autobiographies. Shane is not only one of the greatest living cricket legends: he is as close as the game has had since Botham to a maverick genius on the field and a true rebel spirit off it, who always gives audiences what they want. Despite being the talismanic thorn in England's side for nearly two decades of regular Ashes defeats, he was also much loved in the UK where he played cricket for Hampshire. He's also a much-admired figure in India and South Africa. 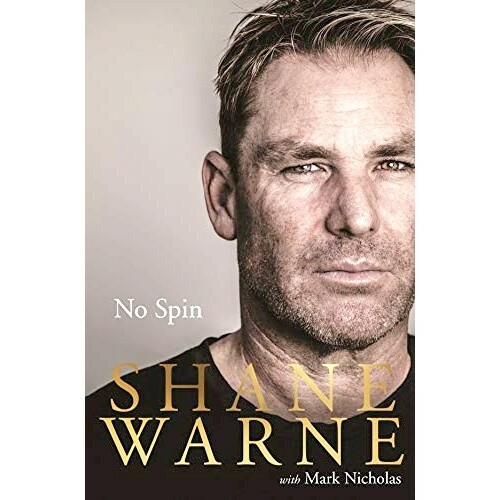 Alongside his mesmerising genius as a bowler, Shane has often been a controversial figure, and in this book he's talk with brutal honesty about some of the most challenging times in his life as a player. Honest, thoughtful, fearless and loved by millions, Shane is always his own man and this book is a testament to his brilliant career.